Former Prime Minister speaks about 'numerous mistakes' made during his tenure as Prime Minister, but criticizes current government. Former Prime Minister Ehud Olmert said that he "made numerous mistakes" during his tenure leading the State of Israel in his first public confession since leaving prison. Speaking with his former bodyguards from the Shin Bet, Olmert admitted that "I made quite a few mistakes in my personal and public conduct" which he promised to detail in his upcoming autobiography. "I won't evade the many bad things I did" he added. 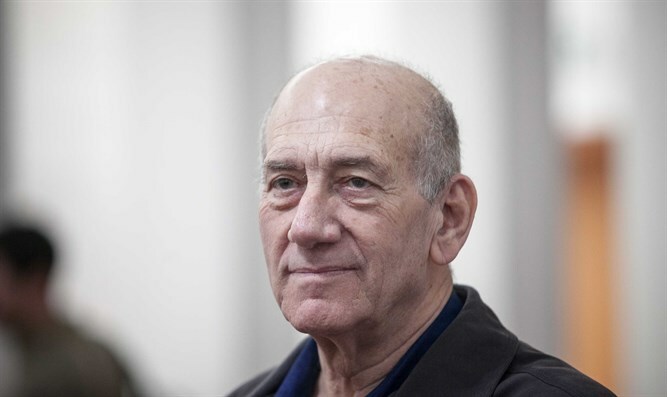 Olmert also harshly criticized the current government, saying that "we are not reaching our potential, especially economically. These are things which we need to change, and I believe that I know how to change them, especially how to stay strong on security. Everything will be written in my book." Olmert pointed to his handling of the Second Lebanon War as proof of his handling of security matters, although most Israelis continue to view the war as a failure. "During my short short tenure as prime minister, I was forced to make difficult decisions on security matters several times and there is now 11 years of quiet in the north," he said. "I don't think there has ever been a period of quiet following a war like this in the State of Israel". Hezbollah's arsenal of rockets, however, has grown exponentially, despite its growth being fobidden according to the UN ceasefire agreement Olmert's government signed. Olmert took over as Israel's Prime Minister after Ariel Sharon suffered a debilitating stroke in 2006 and served until he was felled by graft allegations in 2009. In March 2014, he was convicted of bribery, and he began serving a 19-months sentence in Maasiyahu Prison before being granted an early release in 2017 for health reasons.